Srinagar 29 August (KNO) : Appealing people of Jammu and Ladakh provinces to support two day strike call given by all those supporting Article 35-A, AIP President Er. Rasheed has asked main stream parties especially NC and PDP to persuade central government to stop blackmailing people of the state in the name of challenging 35-A. Addressing a press conference in Srinagar today Er. Rasheed said “No doubt 35-A needs to be defended tooth and nail in the Supreme Court but one should not forget that primarily it is a political issue as Supreme Court is being used as a route to demoralize Kashmiris and make them defensive. It is the central government which through its proxies is dragging 35-A and other related provisions to Supreme Court in order to implement its agenda, as such the wishes and designs of union government mean a lot for the Supreme Court. It is obvious that Sang Parivar is dragging 35-A and Article 370 to Supreme Court for political reasons as such the move can be better resisted through political means. While building mass pressure on New Delhi is a must but at the same time main stream parties can play a vital role by asking New Delhi louder and clear to stop doing all sorts of nonsense including its designs to abrogate Article 35-A and other related provisions”. Er. 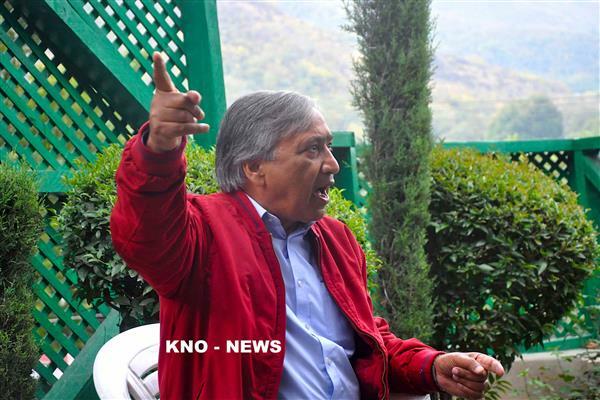 Rasheed added that since New Delhi has been often using main stream parties as a tool to mislead world community by projecting them as real representatives of Kashmiris, it is high time for the main stream parties to prove their sincerity to the masses. 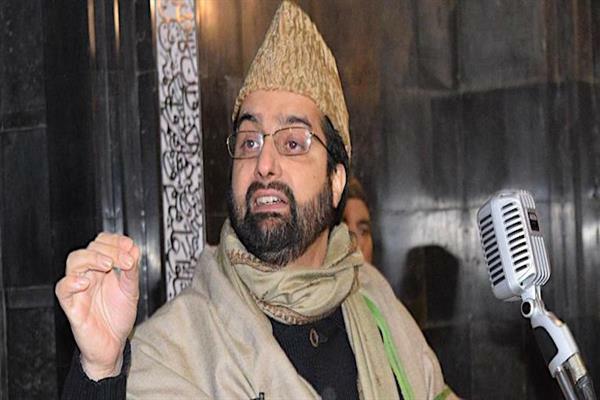 He said “Isn’t it strange that while every Kashmiri is worried about the fate of 35-A, New Delhi is more interested in conducting Panchayat and Municipal poles. Let all the main stream regional parties ask New Delhi louder and clear that it should either stop blackmailing Kashmiris or no political party would participate in upcoming Panchayat and Municipal poles”. 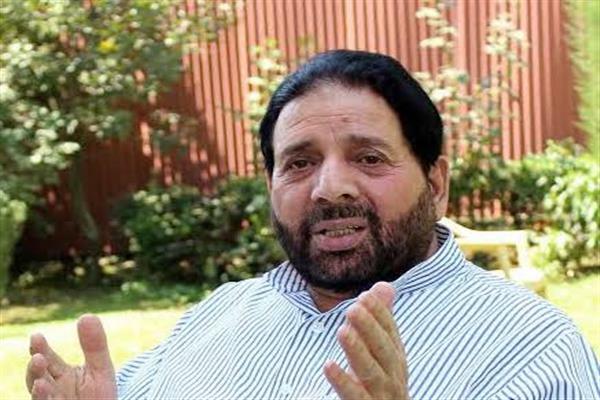 He suggested that an All Party Delegation headed by Omer Abdullah and Mehbooba Mufti should meet the Prime Minister and convey him about the decision. 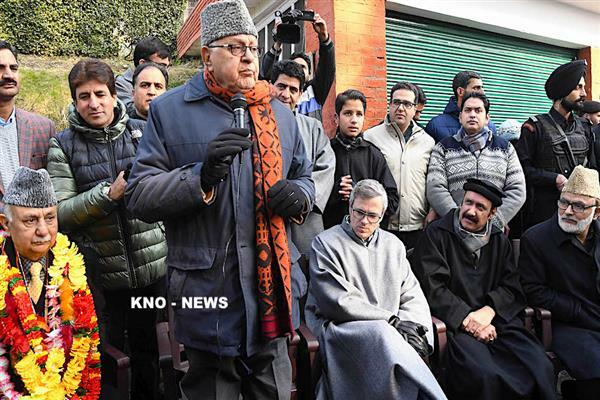 He said “They must tell PM louder and clear that Kashmiri leaders cannot compromise the rights of the people of the state and are not rubber stamps. Let there be not iota of doubt that if main stream parties decide not to contest Panchayat and Municipal poles, central government will come on its knees.” Er. Rasheed added that he is trying hard to approach the major main stream political parties so that they can take a much tougher and result oriented stand on the issue. Er. Rasheed appealed people of Jammu and Ladakh provinces cutting across religious, ethnic and sectarian lines to rise to the occasion and understand the significance of Article 35-A and must support all those voices seeking preservation of Article 35-A and other related provisions. Er. Rasheed reiterated his appeal to local police cops not to indulge with their own people and understand that those on the streets are fighting for the rights of all citizens including policemen. He strongly condemned use of force against unarmed civilians in different parts of south Kashmir and asked police to respect the rights of common masses including militant families.